Wooden Aluminium Frame. Height - 6 inches and width - 4 inches. Mail us high resolution picture to mail id " sales@shop2ap.com" with your order number. 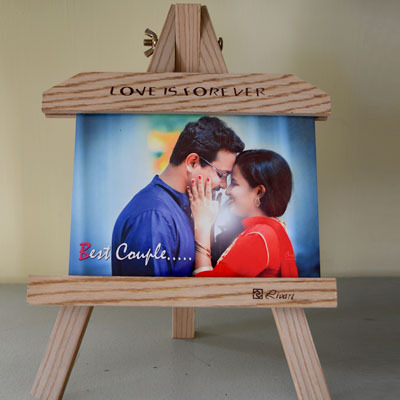 This frame is available only in vijayawada. If you want to delivery in any other place in AP and Telangana instead of vijayawada place an order 5 days before delivery date.